Lemmings type of strategy game. Is there a better alternative to CamelControl? Is CamelControl really the best app in Strategy and War category? Will CamelControl work good on macOS 10.13.4? 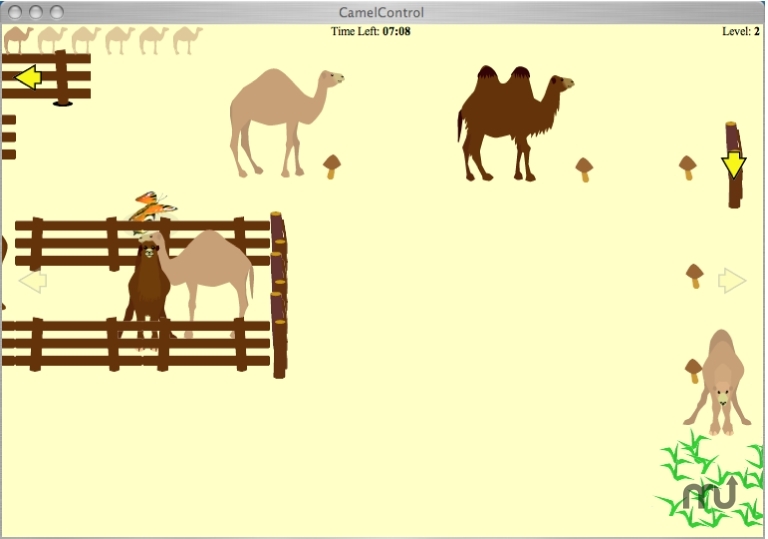 As the new hired hand in this game, you'll be assigned to care for the farm's notorious camel herd. To keep the camels happy, you'll need to lead the camels out to the grass field to graze. However, your task will not be an easy one. Far from being lemmings, camels have minds of their own, and will go in whatever way their stomachs please. To control these camels, you'll need to make use of your fence digging and posting skills, mushroom finding abilities, and nimble fingers. If you succeed, you'll be well on your way to camel poke fame. Version 1.0b6: Improvements to game graphics have been made - smoother graphics, modifiable graphics settings, as well as additional graphics have been included. CamelControl needs a rating. Be the first to rate this app and get the discussion started!